The Pink Palmetto Bug Gift Enclosures: This affluent bug has made its way into stately homes, carriages, cocktail parties and guest bedrooms for centuries. Why not gifts, too? The pesky guest is just begging for attention. Dare you make these your signature gift enclosure? What fun! Also a unique hostess gift. Letterpress printed in Blush Pink ink. 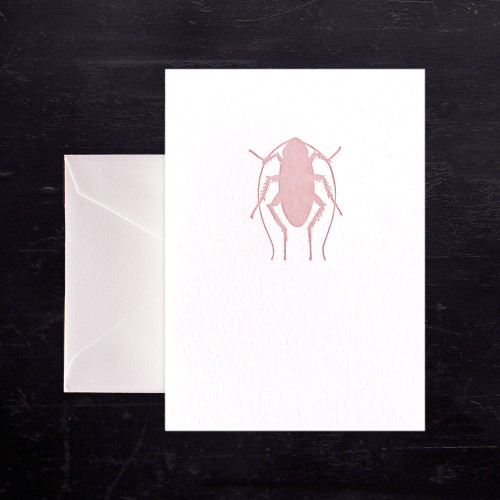 Packet of 12 pink bug flat cards with matching little envelopes included. Just enough room for a personal note. This set arrives neatly packaged in a crystal clear, sealed bag. Cards measure 2″ x 3 1/2″ . 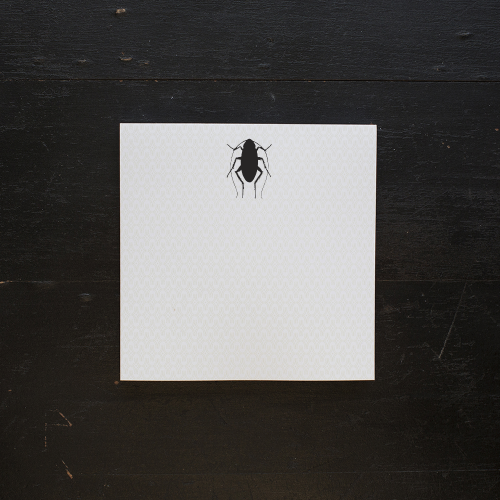 We only uses the finest papers available for our letterpress goods. All are eco-friendly and take to your ink pen beautifully. Please allow up to 3 business days to process and ship your order.